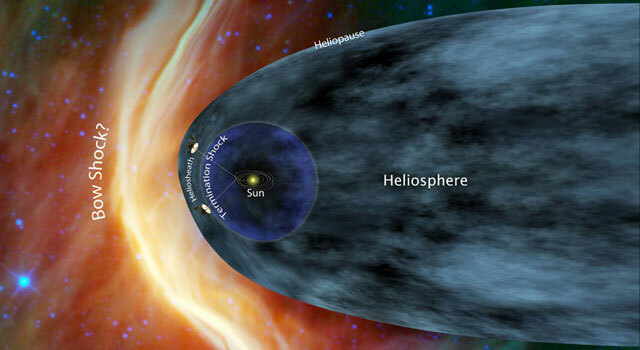 Did you know that humans have never had spacecraft in interstellar space? Depending on how you read that and how you think of “interstellar space”, you may or may not be surprised. Interstellar space, put simply, is a region of space beyond the influence of our sun, light and minute gravitational effects notwithstanding. Our sun emits vast amounts of energy, as I’ve mentioned with some detail, which creates a bubble of pressure against the diffuse gasses that fill the vast tracks of space between stars. When I say diffuse, I mean you might only find as little as one atom of hydrogen per cubic meter of space. This is far, far more perfect a vacuum than anything we could create on earth, yet still not empty. Pretty cool. 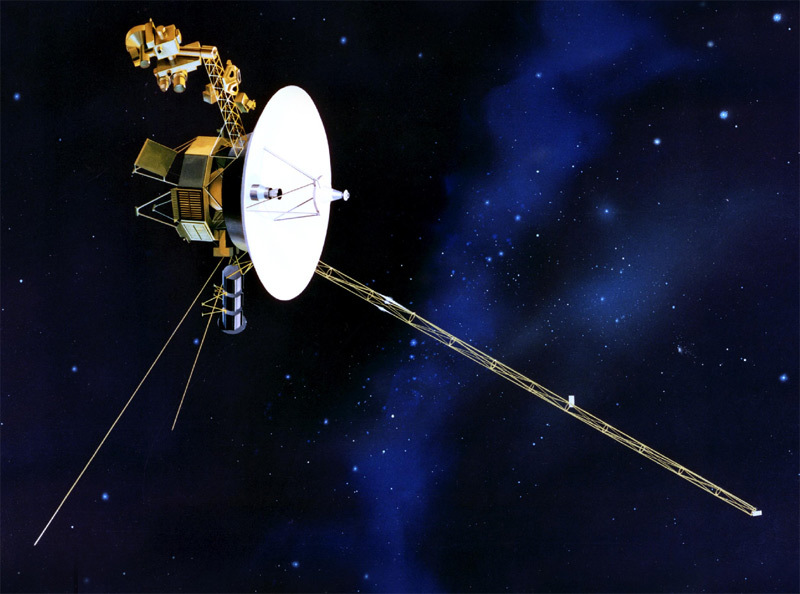 The Voyager II spacecraft. Less computing power than the CD player I had in high school, but still has 33 years of epic scientific discovery under its belt. Measuring things that are so slight is extremely challenging and figuring out exactly where these boundaries lie is best discovered by flying across them. As I’m sure you can imagine, these things are pretty far away and it takes quite a while to reach them, even at high speed. The good news is that we have two spacecraft nearly there, and it only took them 33 years. The funny part is that this was not the original mission of these craft, but thanks to some exquisite engineering, creative ingenuity and dumb luck, this is how far they’ve gone. "Termination Shock" is totally the name of my next punk band. Originally named “Mariner Jupiter/Saturn 1977”, they were re-named Voyager I and Voyager II shortly before their launch in the late summer of 1977. The early mission gave us the best views of Jupiter and Saturn we would get for decades and still the best images of Uranus and Neptune (in visible light) we have today. 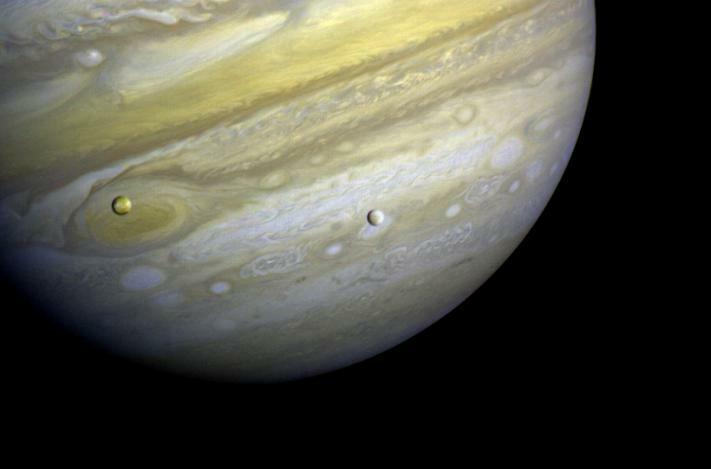 The next few posts will be about the Voyager missions, but I can’t end this one without one of the amazing Jupiter Images that forever changed the way we view our solar system. Not too shabby for 1979! That's Io on the left and Europa on the right. Voyager I showed us that Io was covered with sulphurous volcanoes and Europa with fissured ice, hinting at a giant liquid-water ocean beneath.